Each card comes with a gift envelope and a Board & Brush brochure. Gift Cards are shipped within 48 hours to the shipping address of request via USPS First Class mail. Please allow 5-7 business days for delivery. 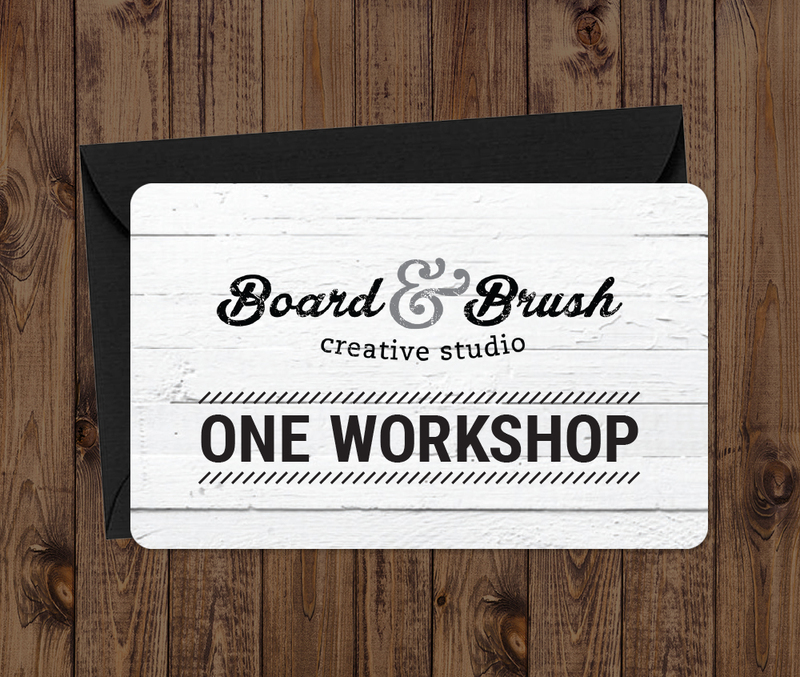 For Gift Card purchase inquiries, please email giftcard@boardandbrush.com.